A native of St. John's, Newfoundland, dancer, choreographer and dance educator Jill Dreaddy discovered her passion for dance at the age of 5. As a young dancer Jill was eager to explore the world of dance outside of her own Province and studied at Quintee Ballet School and travelled to various Canadian Cities, L.A. and New York for open classes, workshops and courses. Jill was recipient of the 1995 Dance Teachers Association of Newfoundland scholarship and studied in England that summer at the I.S.T.D. headquaters in London and attended the I.S.T.D. summer school in Chichester. After graduating from dance college, Jill established JILL DREADDY DANCECO in 1997 (CBS). Jill expanded in 2006 with a second location in St. John's. Jill teaches Flamenco, Ballroom/Latin, Hip Hop, Tap, Jazz, Latin Jazz, Ballet/Pointe Music & Movement. Jill danced with El Viento Flamenco, a Halifax based flamenco company, for several years and toured across Newfoundland & Labrador and Nova Scotia. Jill continues to travel within Canada, US and overseas to study with top choreographers and teachers to stay on the cutting edge of dance. Jill's knowledge of dance and its many forms, accompanied with her extensive experience, have taught her that ANYONE CAN DANCE! Harriett started her training at the age of 4 at Sian Dixon School of Dance in Wales, where she fell in love with performing and all aspects of dance. She studied RAD Ballet and ISTD Modern Theatre, whilst taking singing and drama lessons. Harriett was a member of the Contagious Dance Crew, a hip hop crew, and took many titles whilst dancing with this team such as 1st place Welsh Champions, and 2nd place British Championship. Harriett pursue a career in dance and furthered her training at Preston Dance Academy where she studied ISTD Modern Theatre, Tap, Ballet, Contemporary, Lyrical, Street Dance and Jazz. She gained her teaching exams in ISTD Ballet, Modern and Tap. Since then, she has furthered her teacher training by completing a foundation degree in “teaching dance in the private sector”, gaining a first class grade, and finishing the highest in her year group. Harriett has danced in many productions including “World At Your Feet” and “Dancing Through Time” where she also took a lead role in a musical theatre number. 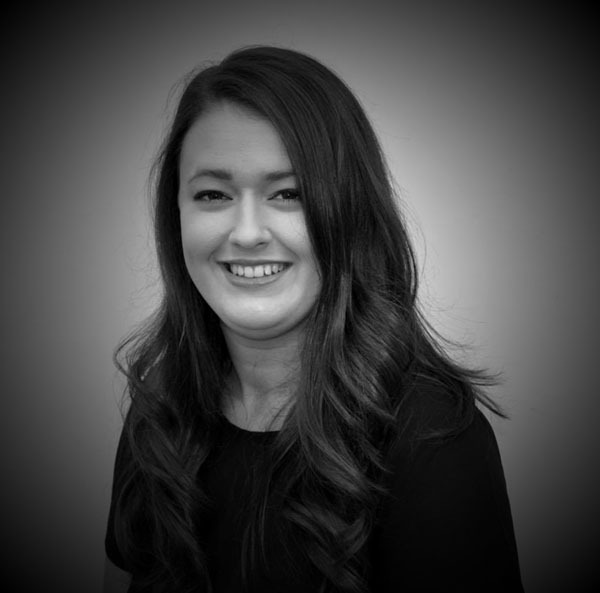 Harriett has also performed on behalf of Preston Dance Academy at the renowned “MOVE IT” Convention in London’s Olympia, taking a singing lead role as “Violet” in the Musical 9 to 5. Harriett has choreographed numbers for the “Faye Knowles Chapman Choreography Competition”, where her choreography received a special mention. Harriett believes that dance is an excellent way to teach students life lessons and wants her love and passion for the arts to inspire and motivate her students to succeed. Sabina’s passion for dance started at the age of 6 and quickly grew from recreational to examination classes, then to competitive dancing followed by a pre-professional program in Ontario. Her disciplines include Ballet, Jazz and Lyrical; to Dubstep, Improv, Afro-Jazz, Broadway and more. Since graduating with honors from Huron Heights-Arts in Dance Ensemble, Sabina has been choreographing and teaching dance to students ages 2 to adult, from absolute beginner to competitive dancers as well as classes for students with special needs and accessibility concerns. Most recently, Sabina has begun a new adventure with Army of Sass-St. John’s. After recently playing Lyndsey the Lionness in the fall production of OZ, she began her teaching adventure guiding dancers through certified curriculum in the Heels style, and supporting adult’s with their love for dance. Stacy Fowler has been dancing and performing in St John’s for many years, and fell in love with Latin dance in 2009 when she attended a Latin Jazz class. Since then she has been travelling to Cuba annually to train in Salsa, Son, Cha-Cha-Cha, Reggeton, and Rumba. Since 2013, Stacy has been training as a dancer and working as an assistant teacher with Delali Ojyboye, focusing on Salsa On1, Bachata, and Merengue. Stacy has her own dance company called Bailamos St. John’s.